Letter Quest Remastered is the updated version of Letter Quest: Grimm's Journey. 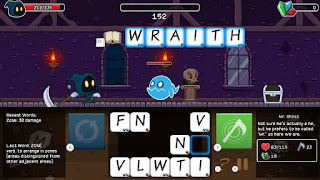 It pioneered the "scrabble meets RPG" gameplay that we just visited a couple of days ago with Spellspire. 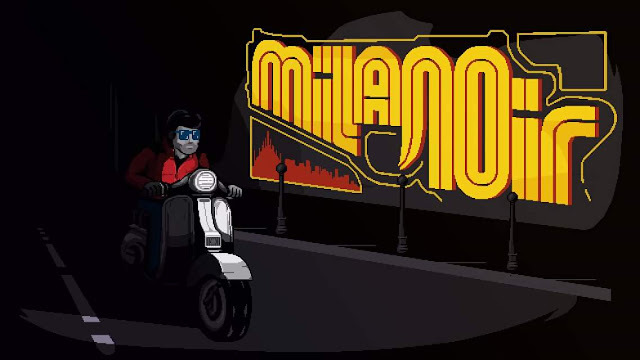 While the latter wears it's Letter Quest influences on it's sleeve with a bright neon sign pointing at it, we will have to go over what Letter Quest is and why someone might prefer one over the other. 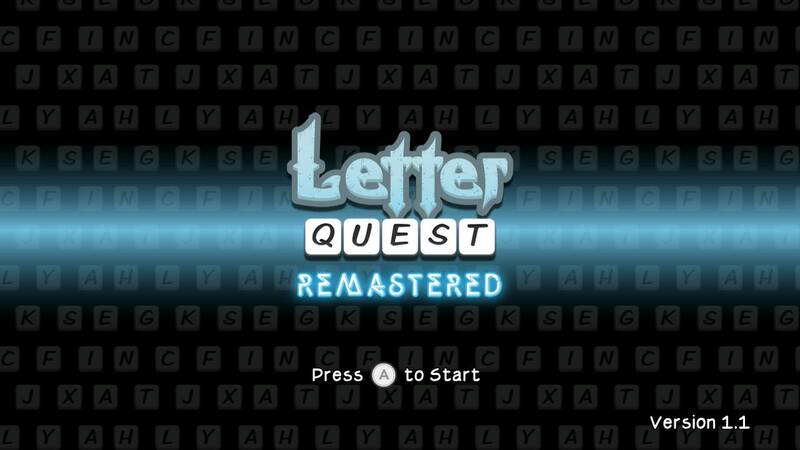 Letter Quest Remastered gives you the choice between fifteen tiles with which to make your words, and once you've used a title, it disappears. You can take as long as you need to find your words, and use that time to plot out your next move. The length of your words and difficulty of the letters used influence the amount of damage that you can inflict on your enemies. You and your opponents take turns attacking each other, so it is very important for you to make sure that you're trying to maximize your damage done on every attack. Your enemies can sometimes affect the tiles you have available to use. They can either give you an entire row of one letter, or they can afflict the tiles with status effects. Each status effect brings a drawback, but you also get status effects on tiles that can be neutral or beneficial. Enemies can poison or plague your tiles. Each of these tiles can damage you if you use them in a word, but plague tiles will infect other tiles adjacent to themselves if you don't use them. The benefit of using these plague tiles to get rid of them far outweighs the risk of letting them take over the entire board. Enemies can crack your tiles, and those tiles will break if not used within a few turns. The neutral status affliction is stone- you can't use the tile while it's stoned, but your enemies also can't affect them with other status afflictions. Crystal tiles are purely beneficial, in that they always give you a bonus for using them. Then there are whirlpool tiles that change every turn, which can be good or bad, and then there are reactive tiles that clone themselves onto neighboring tiles. 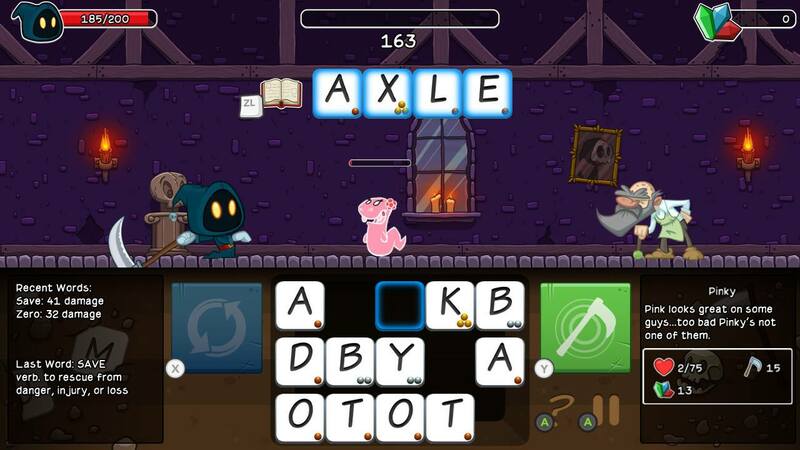 These are also somewhat beneficial for a turn or two, because they often seem to be useful vowels. If you are having a hard time utilizing the tiles available to you, you can swap all of your tiles out at the expense of giving up your attack. You can use potions to heal yourself, or a potion to purify your tiles. You can gain little bonuses as you play through the level (often in the form of the old man merchant showing up in the midst of creatures to sell small scale health restores like slices of bacon), some of these include regaining health equal to 50% of the damage you do on your next three turns, increasing your damage, or erecting a shield. You can unlock up to three different slots for books that grant bonuses, and these are equipped much like accessories would be in most role playing games. You gain gems when you defeat enemies and complete levels, and these gems are used in Letter Quest to do just about everything in the game. You can buy and upgrade your scythe. You can buy new books with differing abilities, and the books gain experience while equipped to increase their bonuses. There is an unlockable player character named Rose, whom is a female grim reaper. You can replay through any given level with different challenges to gain more stars. Stars unlock new books, weapons, and Rose. I was disappointed by the lack of rumble in the game. HD Rumble has always been one of my favorite Switch features besides the console's hybrid nature, and when a game doesn't even use basic rumble, it detracts from the experience a bit. Especially because so many games are enhanced by the HD Rumble. 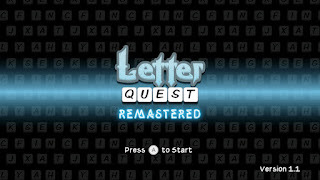 Letter Quest Remastered plays in docked mode much better than Spellspire because of it's more laid back approach to combat, but it is also just as enjoyable in handheld mode. 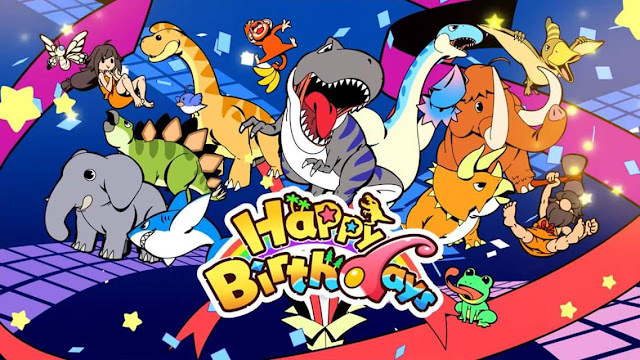 It also boasts a really fun art style that actually reminds me a lot of Bomberman. It is a little more expensive than Spellspire, but it also feels a little more refined with it's emphasis on tile status affliction over negligible elemental weaknesses. It also ramps up the educational aspect of the game by scrolling a little feed on the left hand side of the screen that tells you what part of speech the last used word is and a definition.